Stuttgart - Focus Online and Bähr & Fess Forecasts have named the Mercedes-Benz B-Class, CLS, and the SLS AMG super sports car the 2015 “Residual Value Giants”. Over the next four years, these cars will suffer the smallest percentage decline in resale value within their respective vehicle classes. In the upper mid-range segment, a four year-old CLS 350 CDI will still sell at 54 percent of its original price. The best performance in the compact van segment is achieved by the B-Class 180 CDI, which will sell at 51.5 percent of the original price. Meanwhile, enthusiasts of the SLS AMG will still be willing to pay 59 percent of the original sales price for a four year-old vehicle. Another car among the top three vehicles in this category is the SLK 350, which will still fetch 52 percent of its current sales price in four years. Other great performers in their respective classes are the C 220 CDI station wagon, with a value retention of 51 percent, the E-Class coupe (54 percent), the GLK 250 CDI (56 percent), and the E-Class convertible, whose owners will be able to sell their cars for 56.5 percent of the original price. Three Mercedes-Benz cars were among the vehicles with the smallest drop in value, as measured in euros. The S-Class 250 CDI came in second in the luxury class segment. The E 200 CDI took the same spot in the upper midrange segment, while the SLK 350 ranked third among sports cars. Mercedes-Benz vehicles have also regularly been among the value retention champions in their respective classes in previous years. 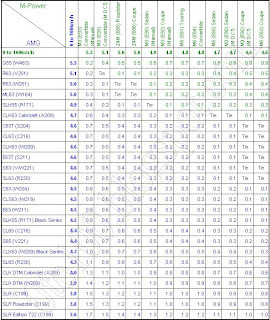 The 2015 Residual Value Giants ranking is drawn up on the basis of calculations made by the Bähr & Fess Forecast market research institute in Saarbrücken. For many years now, the company has been regularly studying the residual value of used cars, using a broad array of data. On behalf of Focus Online, the company determined which vehicles could be expected to achieve the highest resale value, assuming they were bought new in April 2011 and resold in April 2015.